James Suckling gives 90 Points to Maisulan Rioja Alavesa 2016! 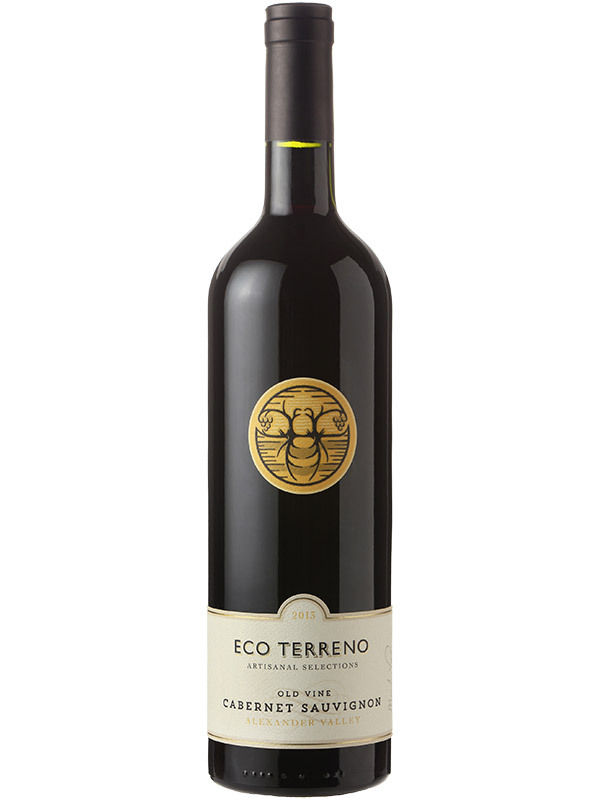 FOUR 90 Points & Higher Ratings for Eco Terreno From Wine Advocate! Eco Terreno is a certified biodynamic estate winery laid out on the rolling hills of the Alexander Valley in Sonoma. The winery staunchly believes that to become successful farmers and winemakers, they must first create a healthy native ecosystem for their vineyards. Owner and winemaker, Mark Lyon received great acclaim during his 37 year tenure at Sebastiani. This legacy includes three wines that were made in part or entirely from grapes grown at the Eco Terreno Estate and rated 95-98+ points by Wine Advocate. More Love for Las Compuertas Project! We are so happy to announce that in the June 2018 edition of Wine Advocate, our Las Compuertas Project 'Malbec 5 Suelos' 2016 received 91 points! 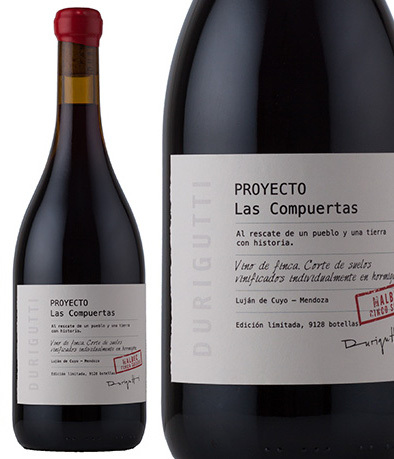 'Proyecto las Compuertas' (The Compuertas Project) began in 2007, when brothers Pablo and Hector Durigutti purchased 5 Ha of old vine Malbec in Las Compuertas, Mendoza, steps from their winery. At the outset of The Compuertas Project, Pablo and Hector had a precise analysis done of their vineyards, identifying 5 distinct soil types. They have carefully adjusted their care of the vines accordingly, coaxing the best grapes out of the 104 year old vines. Their 'Malbec 5 Suelos' is made from the grapes of each parcel being vinified separately in concrete eggs with native yeasts, before a final cut is made. You can learn more about 'Malbec 5 Suelos' and all of the Las Compuertas Project wines here. Tim Atkin Loves Our Argentinians! 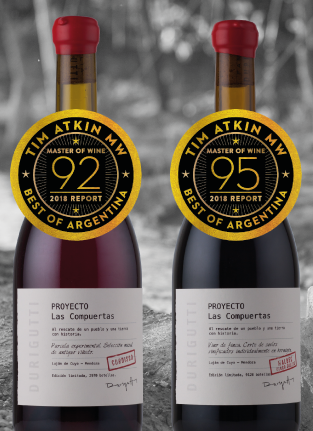 We are very pleased to announce that Tim Atkin has given high marks to wines from Las Compuertas Project and Marchiori & Barraud in his May 2018 Argentina Report. Las Compuertas Project's Malbec 5 Suelos 2016 and Cordisco 2017 were awarded 95 and 92 points, respectively, while Marchiori & Barraud's Malbec "Cuartel Dos" 2015 and Malbec 2016 received 95 and 91 points. 5 separate parcels of centennial vines are cared for based on their soil type as identified by extensive testing and vinified separately in cement eggs before a final cut is made. First Mendoza wine made from this varietal native to Abruzzo (Italy). Fermented in cement eggs with native yeasts. Andrea Marchiori & Luis Barraud come from families with long winemaking traditions in Argentina. Their grapes are grown organically and hand harvested. In the winery, spontaneous fermentation takes place with native yeasts and no winemaking additives are used. W&S Gives Anella Crianza 2014 92 Points! 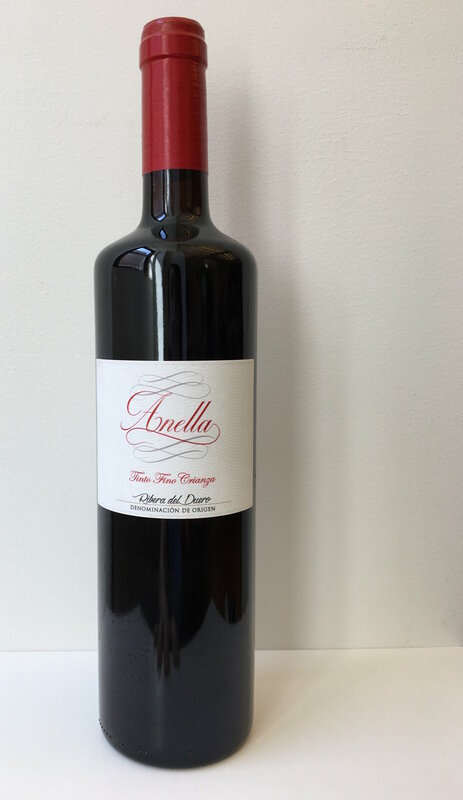 This month, our Anella Crianza 2014 from Ribera del Duero received 92 points from Wine & Spirits Magazine! Anella is a family owned winery located in Fuentelcesped at 2,800 feet altitude. Their limestone rich soils provide excellent growing conditions for their Tempranillo vines, 30% of which are old vines, including some ungrafted pre-phylloxera plots (the oldest is from 1865). The winery practices biodynamic farming, the grapes are hand-harvested and fermentation takes place with native yeasts. Learn more about Anella here. More Love for Marchiori & Barraud - 90 Points From Wine Enthusiast! We are so pleased to announce that Michael Schachner from Wine Enthusiast Magazine has given our Marchiori & Barraud Cabernet Sauvignon 90 points. Andrea Marchiori and Luis Barraud come from families with long winemaking traditions in Argentina. Together they make a small amount of wine in pursuit of expressing the best of the terroir for each varietal. Their grapes are organically grown and hand harvested. In the winery, spontaneous fermentation takes place with native yeasts and no winemaking additives are used. Learn more about their Cabernet Sauvignon here! 91+ Points for Marchiori & Barraud! This month, Malbec Cuartel Dos 2015 from Marchiori & Barraud received 91+ points from Vinous! Andrea Marchiori and Luis Barraud come from families with long winemaking traditions in Argentina. Located in the Perdriel area in Mendoza, the vineyards are handled with exceptional care and great attention to detail. Together they pursue the best expression of their terrior only by producing small amounts of wines. Learn more about Malbec Cuartel Dos 2015 here! Domaine Begude Etoile 2015 AOC Receives 95 points from Decanter! At this year's Decanter World Wine Awards, Domaine Begude Etoile Chardonnay was awarded Gold earning 95 points. The winemaker, Laurent Girault is a native of Limoux and raised in a family of winemakers. The aim at Domaine Begude is to "make excellent wine from long established high-quality terroir... wines reminiscent of the new world, but with the elegance of the old..." The winery organically grows their grapes and is devoted to environmentally sustainable practices. Etoile Chardonnay has a classic, complex style. With aromas of honey and fresh fruit that lead to a long mineral acidity with a creamy texture. We are very excited to announce that the Merum Finca el Navazo 2015 from Jumilla has received 91 points from Vinous! Winemaker Juan Jiménez creates this beautifully elegant wine based on Monastrell. Read full review here! Jordi Miro’s Ennak Earns a 90 from Vinous! We are very pleased to announce that Vinous recently gave Jordi Miro’s “Ennak” 90 points! This spice-accented wine from Terra Alta is described by Josh Raynolds as having “very good focus and lift to the bitter cherry and dark berry flavors.” Click here for full review. A third generation winemaker, Jordi combines the traditional knowledge passed down from his family with a modern touch to create silky, fresh wines that frequently earn high marks. Learn more about the Jordi Miro winery here. Food & Wine Magazine Picks Commuter Cuvée as Wine to 'Drink Now'! Author Ray Isle calls the wine an 'unusually fragrant, elegant Pinot' in the November 2016 issue of Food & Wine magazine and advises the reader to buy 'by the case.' An excellent plan for the upcoming holidays. Cheers! See the full list here, or to read more about Grochau Cellars, check out their page on our site. "An unusually fragrant, elegant Pinot for the price that comes from a small Willamette Valley winery." Commuter Cuvée Pinot Noir Picked for New York Times' 20 Under $20 List! Grochau Cellars is once again making waves. The Commuter Cuvée Pinot Noir 2014 has made Eric Asimov’s much loved 20 Wines for Under $20 list! Asimov looks for ‘exciting and distinctive’ wines to fill his lists, an excellent way to sum up the Commuter Cuvée. Read an excerpt below, or read the full article here. Additionally, you can learn more about Grochau Cellars, and its devoted founder and namesake, John Grochau here. Viñabade Albariño Featured in Somm Journal! Our very own Viñabade Albariño has been featured in the August/September 2016 of Somm Journal! "The Albariños of Rías Baixas: An Overview Refresher Course" takes an in-depth look at the land, people and history of the grape and the region. Sommelier Allyson Gorsuch note's the Viñabade winery's 'deep, collective experience, acquired over more than 50 years in the wine industry" and says the wine "...offers a citrusy, clean palate." You can read the profile on Viñabade here or check out the full article here. Lunar Apogé’s Côtes du Rhône and Lirac Red scored high marks with Wine & Spirits Magazine recently! Each earned 90 points - the CDR was noteworthy for its “vibrancy…seeming to radiate energy,” while the Lirac was “bold and juicy, a riot of wild cherry, spice and floral flavors.” We couldn’t have put it better ourselves. 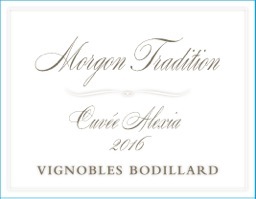 You can learn more about this pioneering, biodynamic winery on their webpage. For the complete reviews, please read below. Cheers! CDR: "This wins on vibrancy, the wine seeming to radiate energy with its glowing red fruit. A blend of grenache, syrah, mourvèdre and cinsault, all of which Christian Leperchois farms under biodynamics, this holds its freshness for days after opening, the red berry fruit tangy, spicy and clean." Lirac: "From the 37 acres Christian Leperchois farms under biodynamics in Lirac, this is bold and juicy, a riot of wild cherry, spice and floral flavors, with a hint of sweaty animal in its midst. Its energy is invigorating, and inviting when there’s a roast leg of lamb on the table."